Can robots learn to sort end-of-life textile? 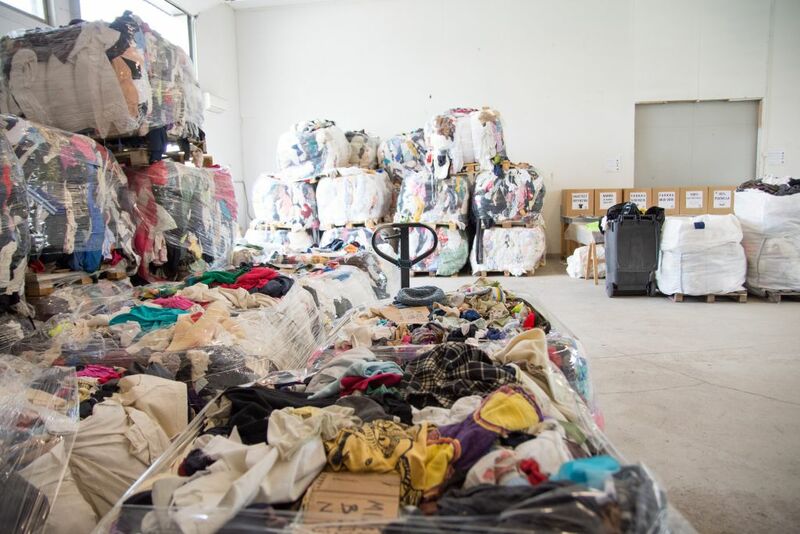 During the Tekstiili 2.0 end-of-life textile pilot 91,000 kg of textiles were collected in the area of Lounais-Suomen Jätehuolto (The waste management company of South West Finland). 31 percent of this was able to be used by industry and artisans, or reutilized as such. Challenges to textile reutilization are, for instance, the significant amount of mixed fibers, the slowness of manual sorting and the lack of efficient recycling technologies in Europe. Moreover, new business models are required for the different stages of the textile life cycle. Last autumn our team consisting of students from Turku University of Applied Sciences got to participate in interesting experiments with two companies. The experiments were about using robots in textile sorting and testing new recycling technologies. The first experiment was carried out with ZenRobotics in Helsinki. The company is the first in the world to manufacture smart waste sorting robots. For test materials we had textiles sorted into different fractions, which were placed on the conveyor belt for the robot to study. The aim was to teach the robots to identify and recognize different textiles. Currently textile sorting has been tedious manual labor. The textile consistency can only be checked from the label, as identification by hand is not an accurate method of recognizing mixed textiles. During the day we fed many fractions for the robot to study, and we were delighted to see that the robot eventually did learn to identify the fractions independently. The experiment of the second company, Pure Waste, will be carried out in Europe. Pure Waste manufactures clothes out of 100% recycled materials. For this test white 100% pure cotton fabric was collected. While we eagerly await the results of these experiments, we get to participate in similar tests with students and companies also during this year with the new TRY OUT! circular economy experimental platform. TRY OUT! experiments are concrete development tools, which will aid companies in adjusting to and coping with the big changes happening in the world. By helping companies with testing new business models and recycling technologies, we take a step forward to achieve a profitable and efficient circular economy. It has been great to see how much eager and devoted companies and students have already achieved. The work continues in the Turku University of Applied Sciences with numerous partners so that we could create as first in the world a national end-of-life textile supply chain, Telaketju.